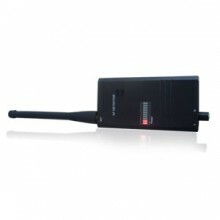 Wireless hidden spy gadgets are commonly abused to pry individual privacy or steal confidential data. Do you ever feel insecure living in hotel room during travel? This wireless tap detector will help you with the situation. If you ever suspect that you might be being watched or eavesdropped, you are possibly not overreacting because such thing did happen a lot nowadays. But there is no need for panic. You can simply carry out a bug sweeping action the check out. 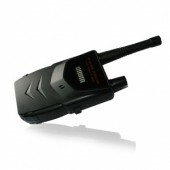 Many spy gadgets works by sending audio or video signals through electromagnetic waves. This wireless tap detector will be an ideal gadget to do the task for you, which is designed to detect and locate hidden wireless tapping devices. The wireless tap finder detects a frequency range 1MHz-8000MHz with strong electromagnetic compatibility. The wireless signal detector is as well in compact size for user’s benefit. So it can be suitable for a variety of venues, home, hotel, business venue, military and government department and so on. 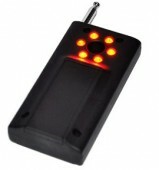 Whenever there is suspicious signal detected, there will be sound alarm and light alarm indication spontaneously. Need something efficient to secure your life effortlessly? This wireless tap bug detector would be the right one for you. Wireless tap detector is is designed to detect and concisely determine the location of the working tapping device in the targeted venue. 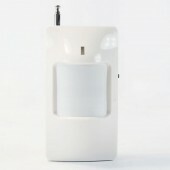 It is one of most advanced portable wireless signal detectors. The device is of good quality and the price is sound. I like the device very much. The price is reasonable and the delivery is punctual and the after sale service is very good. Good service and fast shipping!tanks very much.